Simply wanting to be innovative is not enough - you need to create an environment under which innovation can truly flourish. Large organisations have been built to deliver, not to discover, and often their processes, values and resources stifle creativity and innovation. We can review your organisation's capability to deliver innovation and recommend ways to optimise your environment. If people are not able to take move quickly, take lots of small bets and think outside of the box, then the innovations that an organisation delivers will only ever be small, incremental and easily replicable by competitors. To foster true, disruptive innovation, organisations must support entrepreneurial thinking and doing. Established organisations have been built to execute upon a repeatable business model, not to search for a new business model. 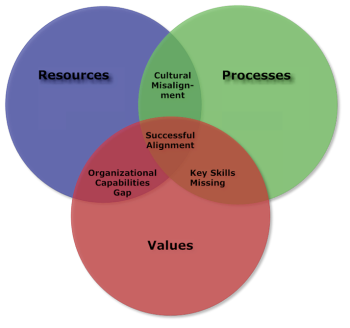 As such, its processes, resources and values are all geared towards delivery and not discovery. If organisations are serious about becoming more innovative, they either need to adapt their organisations to support entrepreneurial ways of doing things, or take innovation outside the building.